Gosford Gymnastic continues to offer quality fun and progressive gymnastics classes to all its customers. Gym Fun classes are NON COMPETITIVE classes and are where we teach the basics of gymnastics in a safe and fun environment. 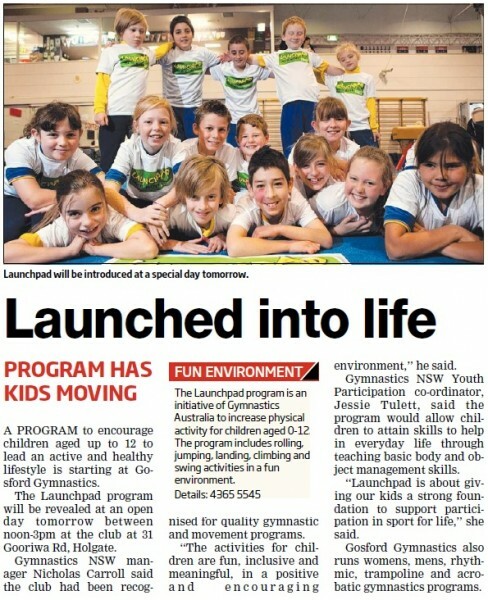 Gosford Gymnastics was awarded the “NSW 2008 General Gym Club of the Year”. We were also awarded the 2003, 2005 & 2006 “General Gymnastics Club”, and the 2000 & 2003 NSW “Overall Club of the Year”. We are the only 4 star accredited club with Gymnastics Australia on the Central Coast. We boast a fantastic facility with friendly accredited coaches who take our GymFun classes. These classes are for beginners & children who just want to have the fun of doing gymnastics in a non competitive environment. In these classes, the gymnasts have the opportunity to try a huge range of apparatus from trampolines to bars, beams, rings, airgym, games and lots, lots more. We incorporate a portion of the other gym-sports into our classes so gymnasts are exposed to the many and varied disciplines offered here at Gosford. Children then have the opportunity to move to other areas of gymnastics and/or competition classes when ready & if they wish. Please see our Gymsport specific pages for a detailed explanation of the other Gymsports we have available.